Each year in the United States, hundreds of thousands of children are reported to the child welfare system for abuse or neglect. In 2014, 702,000 children were deemed victims of child maltreatment, and 147,462 entered foster care. Despite contact with a child protection agency, many families struggle to obtain the right services to ensure a safe and nurturing environment for their children. 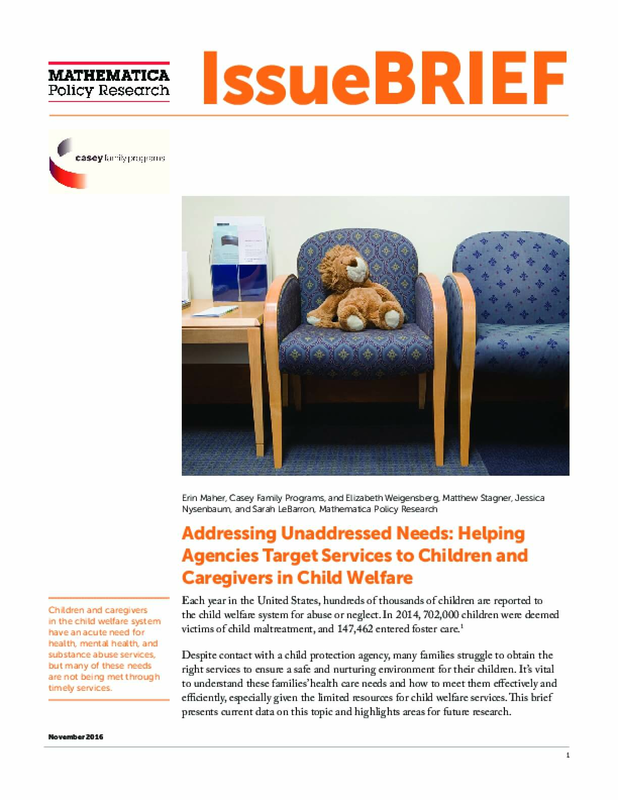 It'a vital to understand these families' health care needs and how to meet them effectively and efficiently, especialyl given the limited resources for child welfare services. This brief presents current data on this topic and highlights areas for future research.